Just a few days ago we were staying in a house on the southern slopes of El Yunque National Forest in Puerto Rico, and we went for a twelve-mile hike through the jungle that really deserves its own post. We didn't see another hiker all day. 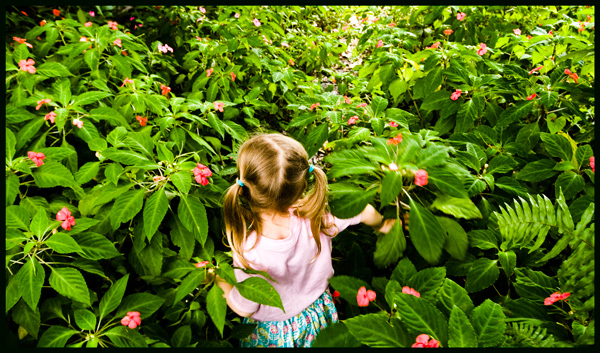 The kid didn't walk much, but she did enjoy making her way through this sea of pink impatiens.